Product #18334 | SKU IA-60A | 0.0 (no ratings yet) Thanks for your rating! 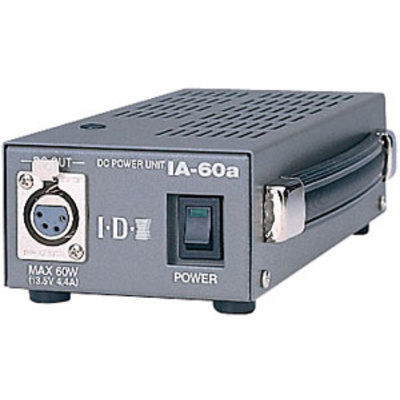 The IDX IA-60A is a 60 Watt AC power supply; it is designed to operate from a variety of voltages offered worldwide. Measuring less than 8" long, this unit will fit in production bags for location work or in small studio spaces. This device operates from AC sources from 100 to 240 VAC @ 50/60 Hz; therefore it has the ability to operate from most worldwide power systems. 3.54 x 7.48 x 1.97"